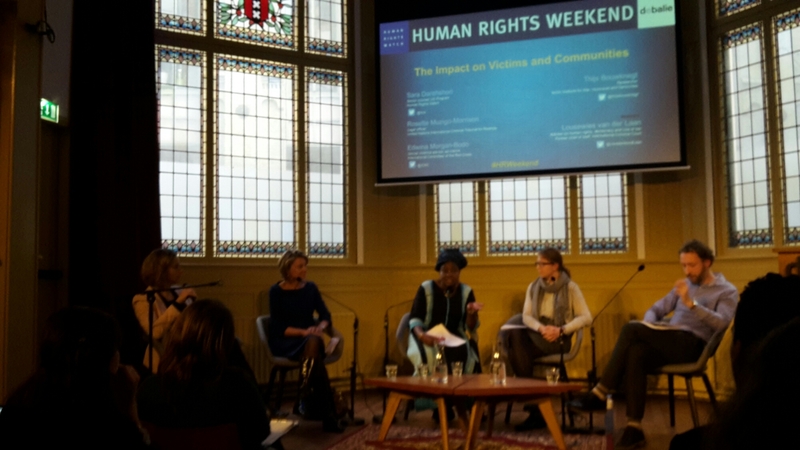 Every year, during the last weekend of January, the ‘Balie’, a cultural place in the heart of Amsterdam, organises the ‘Human Rights Weekend’. 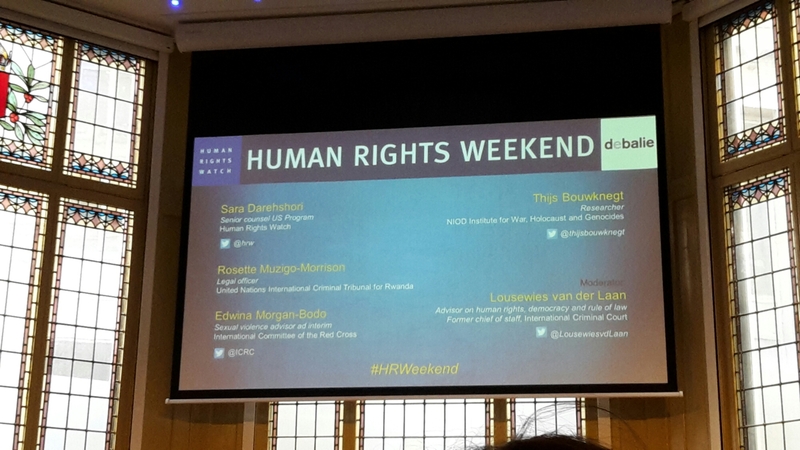 A weekend filled with discussions, debates, films and masterclasses on human rights. This year, I attended two conferences. One of them was a panel discussion on ‘Sexual violence as a weapon of war’, lead by extremely interesting individuals (see picture). The subject was of course very heavy, but indeniebly interesting. Although the victims of sexual violence in conflict areas are both female and male, the discussion mainly focused on female victims. A choice based on the experience of the speakers. In conflicts, sexual violence has long been seen as a problem that ‘simply’ tagged along… But unfortunately it has now become clear that it is itself used as a strategic weapon. A very effective way to destroy the individual and the community. It was also made clear that shame and taboo still play a huge role in the dynamics surrounding sexual violence in conflict areas. Field workers have to constantly keep this in mind when dealing with victims. This discussion was also a reminder of the necessity of international funds for women. A reminder of the absurdity and narrow-mindedness of president Trump’s politics regarding these funds. WhatHappening i’m new to this, I stumbled upon this I’ve found It absolutely useful and it has helped me out loads. I hope to contribute & help other users like its helped me. Good job.